It's not too often I get to see a company up close and personal, and especially one that values our children, our environment, and saving our heritage seeds. Not only that, this company's policies reflect their core values. A recent visit to Asheville, a small city nestled in the Appalachian Mountains of Western North Carolina, landed me on the doorstep of Sow True Seed, a company dedicated to heirloom, organic and traditional varieties of open-pollinated/non-hybrid and untreated seeds. This seed company is active in its community, as well as on the political front, working with elected officials on "enacting a moratorium on the planting of GM crops (Genetically Modified) in Western North Carolina." I even signed a GMO-Free WNC Petition in their office. While I was there, I watched employees getting seed ready for germination testing. Their germination standards exceed the USDA’s percentages for germination. 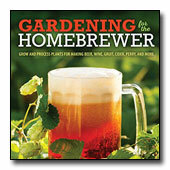 Gardeners who grow from seed know how important good germination rates are for their gardens. I went inside the company’s seed storage unit (a welcome relief from the humidity) that keeps the seed viable for good germination rates. We need more of these kinds of local companies, who care about their communities and strive to make a better world now and for the future. Best of all, they bring a quality product to the market place, create jobs, and add value to our local economies. It is in our best interest to support companies with integrity like Sow True Seed and the important work they do for us. Unfortunately, I have no images to share of my visit; shortly after touring their site, I left my camera gear on the hood of my car and someone stole it. 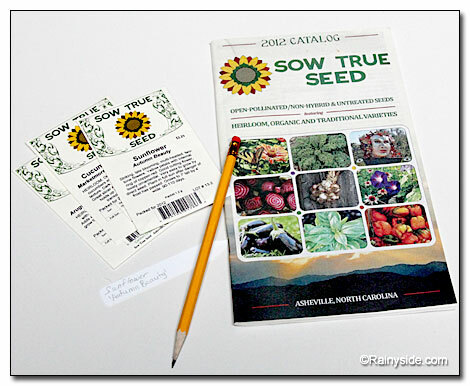 However, when I returned home I photographed a few of their seed packets, as I got ready to plant my summer crops.